Round the corners for FREE! 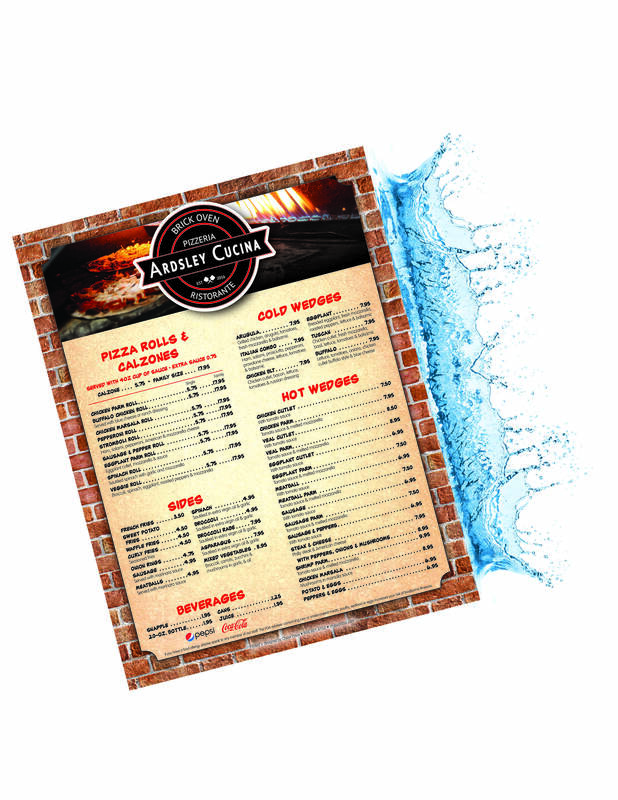 Waterproof Menus as low as $2 each! Looks great – totally durable! Sprial Binding – $1 each! No Templates! Whether you are an upscale restaurant with a sophisticated look or the casual pizzeria on the corner, we have many options to create your perfect menu.